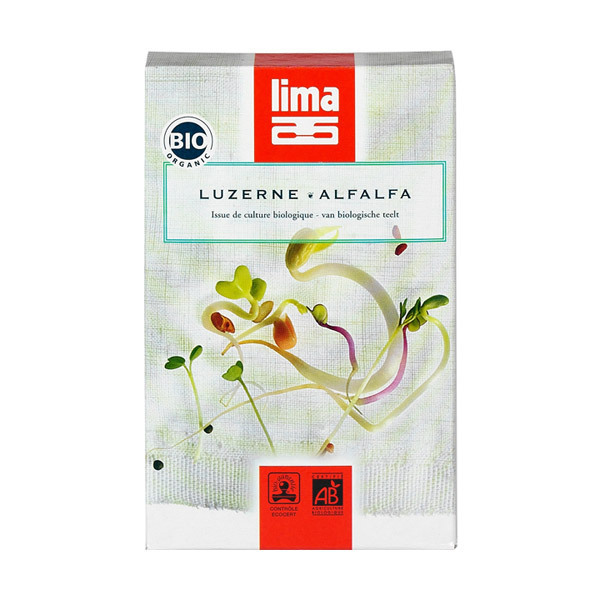 Enjoy these Lima Alfalfa Sprouting seeds in salads, sandwiches or simply with cereals and pulses! 100g box. Alfalfa, also called lucerne, is high in protein, calcium and other minerals such as vitamins. Soak the seeds in water overnight. Spread them on each tray of the Lima sprouter (Croq' Punch). Pour a glass of water on the lid at least twice a day. Thanks to the grooves, water will flow evenly to all trays of the sprouter. Harvest the sprouts when they have matured (approximately 6 days), rinse them and enjoy.